In Dallas they hope to redirect the situation. The base has lost importance with the Slovenian explosion. He has missed the last four games. The Luka Doncic effect is close to leaving his first victim in Dallas. 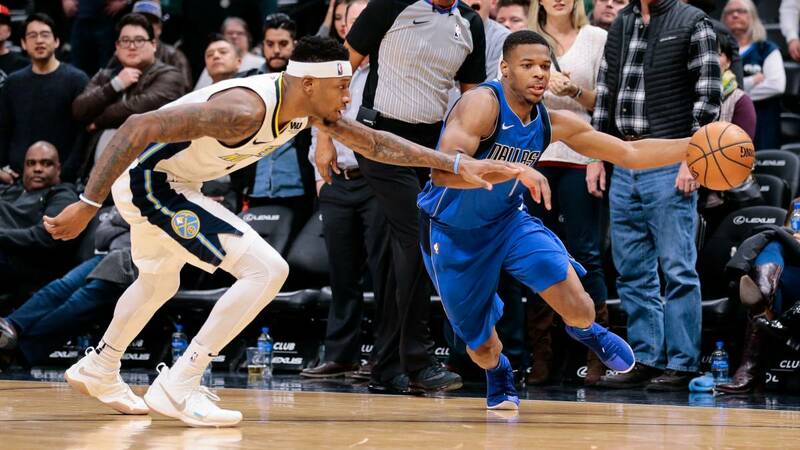 According to ESPN, Dennis Smith Jr. (21 years old and 1.91) wants to be traded when his role in the team falls. The base is frustrated by the new scenario created by the explosion of Slovenian, with more than three million votes is the third favorite of fans to attend the All Star Game in Charlotte (February 17) . The Mavericks, by On their part, they remain calm. Since last December, many reports pointed to the desire of the franchise to transfer to Smith ... but provided they achieved a good business (and do not rule out redirecting the situation and keep it in the team): are not going to exchange a pick 9 of 2017 for minutia, when your contract joins you until, at least 2020 for less than ten million dollars. Texans have a team option over the player for the 2020-21 season for 5.6 million and in 2021-22 they can retain it through a qualified offer of 7.7 million. Orlando and Phoenix have been the main interested in Smith. The distancing between both parties was evident in the last four games, in which the sophomore has been absent for uncertain reasons. The Mavs said the player suffered from back pain in the first three games, while his agent (Glenn Schwartzman) said that his opponent was low for the last one due to illness. Dallas has a record of two wins and two losses in that span. Will not participate in the small tour of the East of the set in Indiana and Milwaukee. No only the shadow of Doncic has affected Smith. Several sources admit the existence of friction between the base and coach Rick Carlisle. The technician has shown, in certain occasions, frustration for his decision-making on the court. In spite of this, it is emphasized that the technician would like to continue directing it. From the organization there are certain concerns about "Smith's long-term adjustment as a complementary piece with Doncic, who is widely seen as a superstar on which the Mavericks will build their future," they say on ESPN. The base, with all these problems, has not been stuck in his game, despite his fall in scoring (from 15.2 points to 12.6): his percentage at the launch has grown from 39.5% up 44.3%, as well as from the triple with 37.5% this campaign compared to 31.3% in the past. In addition, his defensive level has improved as demonstrated by Tobias Harris (Clippers) and Paul George (Thunder) . One of the adaptation scenarios for the base during the summer and part of the present season was its union in track with Doncic, but this has not borne fruit. The combination of the two young pearls, with a good personal relationship (they live in the same apartment building), has given the Mavericks 100.9 points for every 100 possessions in 687 minutes this season. Very low figures compared to 106.9 in 328 minutes of the duo Doncic-Brunson and 112.6 in 232 of the Slovenian with the injured JJ Barea. The Mavs average 108.4 points for every 100 possessions.